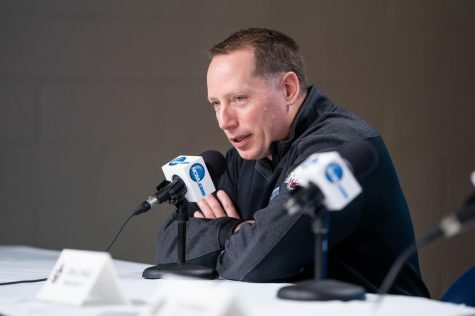 The Massachusetts hockey has now stumbled to the end of the semester following back-to-back losses to a team that most assumed was not to the caliber of opponent that the Minutemen (4-12-2, 2-7-1 Hockey East Association) are used to facing. Following the 4-1 loss on Saturday, Arizona State has now completed the sweep of UMass in the final weekend of the semester after traveling across the country from the desert to blizzard-like conditions. 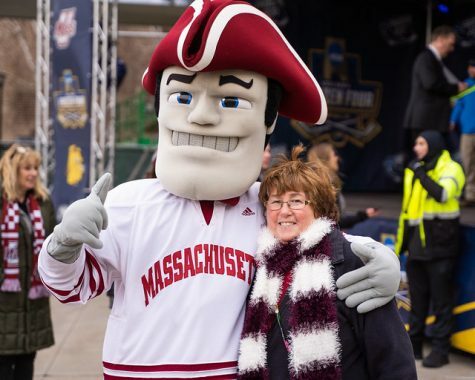 Beyond this being the fifth straight loss for the Minutemen, this recent stretch has exposed some troubling trends for UMass, and they were on display again in Saturday’s loss. 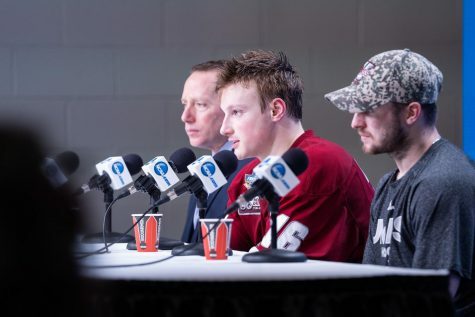 According to Minutemen coach Greg Carvel, UMass’ tough schedule over the past week – three games in five days – was a major factor in its performance the past two nights. The first period has been a problem for the Minutemen during this stretch of games. UMass has failed to score in the first period in each of the past five losses. 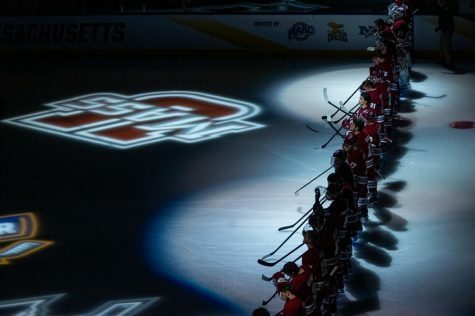 These slow starts for the Minutemen can be attributed to the utter lack of energy to open games, and UMass appeared sluggish at times as the Sun Devil (7-13-0) players skated around them easily. At one point midway through the opening period the Minutemen spent a stretch of roughly 90 seconds trapped in their own defensive zone following a penalty kill. 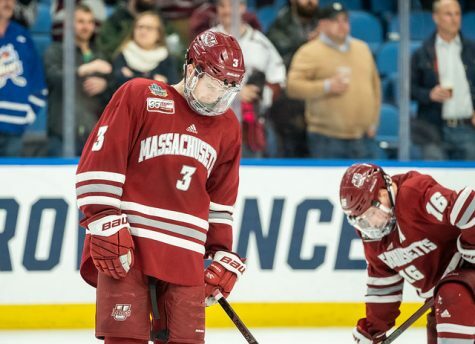 However despite its poor performance, UMass and ASU remained deadlocked like Friday’s game and both teams went to the looker room even, but this led to the second issue that has plagued the Minutemen over the past few games. UMass opened the second period against the Sun Devils strong, with captain Steven Iacobellis scoring the first and only goal of the night six minutes into the period to put the Minutemen up 1-0. 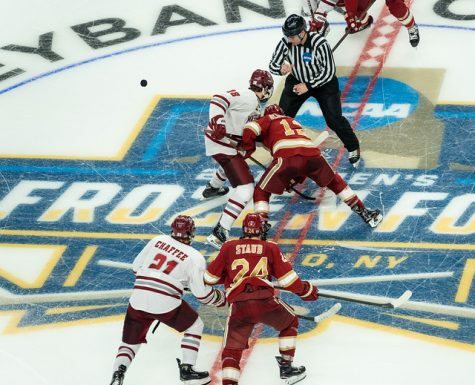 However, a penalty on UMass’ Jake Horton just over seven minutes later effectively killed the momentum for the Minutemen, and the Sun Devils scored the first of three goals to close the second period on the ensuing power play. UMass suffered from a similar problem earlier in the week with the 4-3 loss to Princeton on Tuesday. 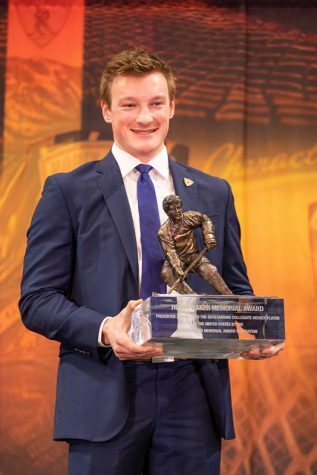 The Minutemen would open the second and third periods strong, often leading to goals, but eventually that would give way to a shift in momentum back to their opponent. 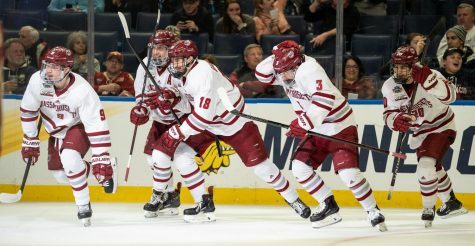 When UMass came out in the third period against the ASU, again it started strong with scoring chances in front of the net that it simply just couldn’t burry. At 7:53 into the last period the Sun Devils put the game out of reach on an odd-man rush with ASU left-winger Brett Gruber scoring its fourth unanswered goal. Nicholas Souza can be reached at [email protected] and on Twitter @nicksouza27.